Overview: 1941 is an Android strategy board game based on the conflicts of World War II between the Axis powers (Germany / Japan) and the Allies (Russia / UK / America)! 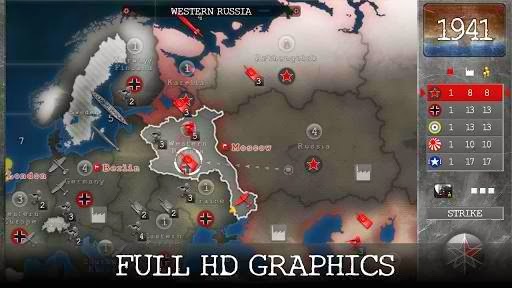 1941 is very similar to the popular board game Axis & Allies®. MARCH 3RD -- NOW FEATURING TURN-BASED MULTIPLAYER!